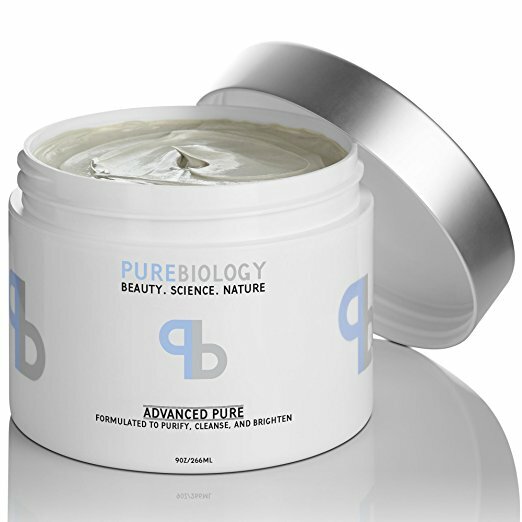 Pure Biology is one of Amazon’s best-selling skin care lines. Their combination of beauty, science and nature is the secret to their success. The brand’s team has more than 30 years combined experience in the cosmetic industry and is dedicated to making truly great beauty products made with mainly natural ingredients. Founded in 2016, this limited line of high-end beauty products was created for the everyday yet discerning consumer. Everything is made in the USA. Today, I’d like to share with you their Advanced Pure Clay Facial Mask and Retinol Plus Complete Anti-Aging Moisturizer. A TRULY UNIQUE CLAY MASK – This facial mask combines a pure Bentonite Clay base & proven cleansing ingredients with NaturePep™ Pea, a proprietary extract clinically shown to correct skin defects, while creating a significant brightening and smoothing effect. TOTAL EFFECTS CLEANSING – Formulated to deeply cleanse and detoxify while correcting a wide variety of skin imperfections, including: visible pores, dark & red spots, acne scars, blackheads & excess oil. INSTANT ILLUMINATION – Our formulation is infused with NaturePep™ Pea, a breakthrough peptide ingredient that has been clinically shown to brighten and smooth skin texture. A noticeably more luminous and youthful glow are often realized as quickly as the first application. 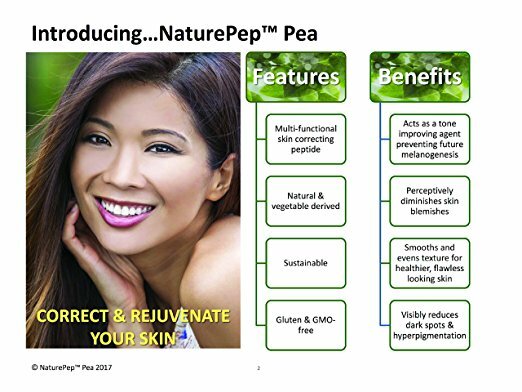 THE SCIENCE OF NATUREPEP™ PEA – This proprietary, formulated extract from the pisum sativum (peapod) allows skin pigment to return to a balanced state, promoting a brighter and more even complexion. IDEAL FOR ALL SKIN TYPES – The face mask is designed for gentle, yet deep and effective cleansing without drying or irritating. Suitable for all skin types, especially oily and combination skin. This is a truly wonderful face mask for you to try to get your complexion at its finest. Priced affordably between $23-$30. Available exclusively at Amazon. 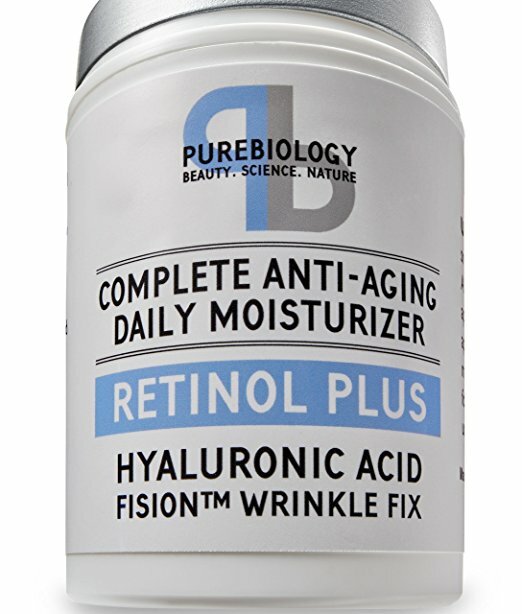 THE STRONGEST NON-PRESCRIPTION ANTI-AGING BLEND – Time-tested base ingredients are enhanced with 2.5% active retinol, hyaluronic acid & Fision™ Wrinkle Fix, a proprietary anti-wrinkle ingredient that has been clinically shown to deliver the most potent anti-aging benefits among non-RX grade cosmetics. GENTLE & EFFECTIVE – This formulation contains natural healing & hydrating ingredients, such as Aloe & Jojoba Oil, to soothe skin and guard against drying and peeling caused by many Retinol products. SILKY SMOOTH APPLICATION FOR ALL SKIN TYPES – This lightweight formula is ideal for all skin types, including sensitive, oily and acne-prone skin. It smooths on like a serum, feels like a gel and hydrates like a thick cream; Quick drying with no tacky residue left behind (ideal for daytime use under-make-up). FISION™ WRINKLE FIX – This naturally-derived, breakthrough formulation has been clinically shown to drastically reduce wrinkle depth, fine lines and age spots by promoting significant surges in hyaluronic acid production. THEIR PROMISE TO YOU – Comprised largely of natural ingredients, their formula is free of harmful additives, parabens, GMO’s and cruelty (not tested on animals) and made in the USA. If for any reason you are not 100% satisfied with the cream or the results, simply message them and they will process an immediate refund – no questions asked. You really can’t go wrong with Pure Biology. Effective Products for your complexion at an affordable price between $23-$30. Available exclusively through Amazon.